In this map we have a bridge spanning a river. On one side of it, there are two towers and a gate, placed there to keep tabs on who crosses this river pass. The towers have humble sleeping arrangements and some resources that last few days. Food most be brought from a nearby town often. 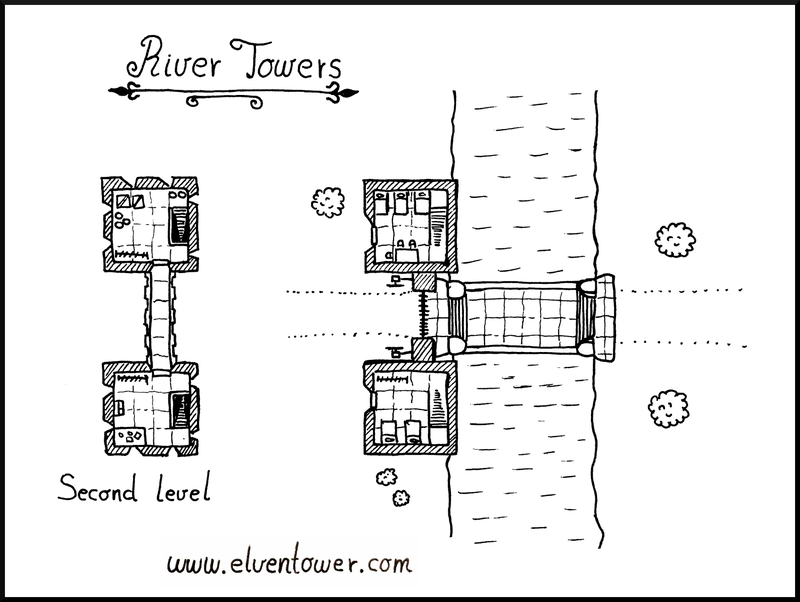 The second level of both towers gives access to a small bridge on top of the gate. Behind the gate door, two pulley mechanisms help raise the gate bars.